veni domine taizé partition anamnèse visit I decided that for a new year, a new design was needed. I spent hours staring at CSS code, ensuring that I will need a new prescription for my glasses in the next 6 months. Explore the site, there are more pages and information. Thanks must go out to Jordan for designing such a beautiful banner…with no input from me! And to my webmaster and friend Paul for helping with the switch. første arbeidere laestadianske vekkelsen Tomorrow is the Baha’i New Year, which is one of my favorites. 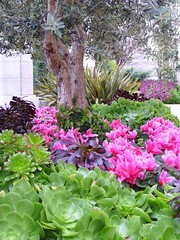 Holy Days in Haifa are beyond description. or if I sat quietly with you in the silence of a sunny day in the car. or peanut butter straight off the spoon. I think it has been years since time moved so slowly. erde hang abstützen go It’s so beautiful!!! You did a supremo job, Sho! nordisk sweater dame opskrift go Oh, I can more than appreciate all the hard work that goes into a new design. This is magnificent! All chocolate and roses. http://alonebag.life charbon actif bienfait peau Happy Naw Ruz Sholeh joooooooon! leren theorie auto Whoa, you’re so right, George — chocolate and roses! den der ler sidst ler bedst there Very elegant template! steele house kbh hotel MMMmmmmmm….chocolate. This blog should win an award for beauty!